Office Safes - What Kind of Home Safe Do I Need? "Often referred to as home & office safes, office safes are really just home safes with a few tweaks. Business typically deal with extremely important documents, irreplaceable hard drives and large sums of cash. If there was ever a fire, it is imperative these items survive. 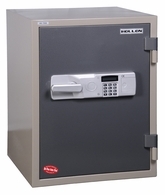 Our thousands of office safe reviews have allowed us to refine our selection to only the best office safes." Often referred to as fireproof safes, fire safes do exactly as they say and protect your valuables from fire. Simply put, they are a safe box with some form of insulation in the walls and door to keep the inside cool while the outside burns up. While most Fire Safe boxes have some form of locking bolts, they have no burglary rating, they are purely rated for fire. This means that your important documents will be kept out of the hands of kids and guests, but any burglar with tools will crack it open with ease. 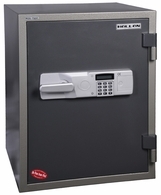 Our thousands of fireproof safe reviews have allowed us to refine our search to only the best fireproof safes. Flipping things around, B Rate Cash Safes do the opposite of the fire safe. They have a B rate burglary rating with no fire rating. 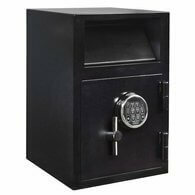 This is the ideal option for a business that handles large amounts of cash that has to be taken in and out of the safe box regularly. 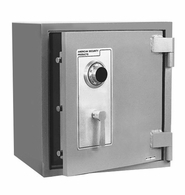 These safes are typically combination safes for their long lasting reliability. 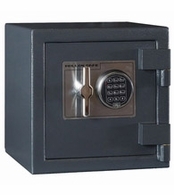 These money safe boxes are secure and reliable. Another ideal choice for business handling large sums of cash. 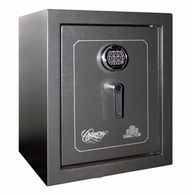 Drop Safes, also known as depository safes, are perfect for the owner who needs employees to put cash in the safe without actually having access. Typically, they come in 3 forms including the front drop, top rotary drop and triple drop for more advanced control. Coming in a variety of styles, shapes and locks, there is a drop safe for every need. Whether you're looking for a small office safe, small money safe, small fire safe or the larger equivalent, we truly have the best selection of office safes for sale.